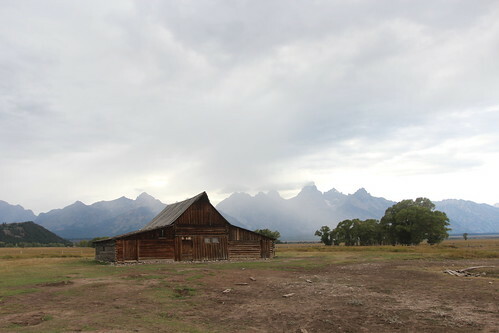 Mali Mish – Days 41- 45: Grand Tetons National Park, Wyoming. As the sun was setting, we had to quickly find a spot to spend the night and there were a handful of private campgrounds that we visited who were charging an absurd amount for standard hookups. 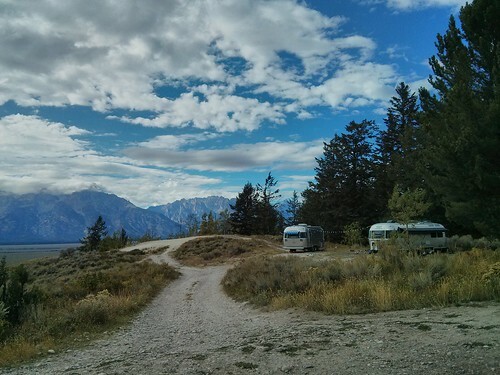 We knew that our friend Anna and Paul had just been at Gros Ventre Campground earlier that morning so we messaged them for a little insight as to their vacancy. Anna told us that we would have good chances at Gros Ventre so we headed that way as thick, dark clouds gather over the peaks. 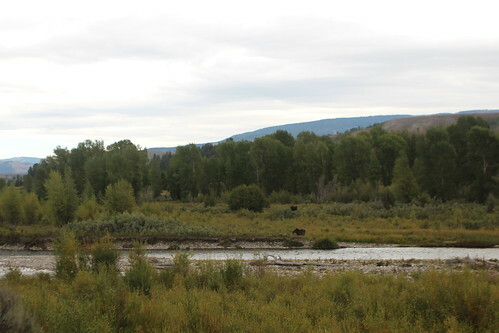 We managed to get a couple of decent sites at Gros Ventre in the dark which is not something we typically do. If we had the option, we would have preferred to spend the night at a parking lot somewhere and tried it in the morning. Such option was not available but we were pretty pleased with what we found when we got a peek at the view out of the dinette window in the morning. We have decided to stay here in the area for a few days but only at Gros Ventre for one more night. Tomorrow we plan to head out for some boondocking in the nearby national forest land our friends from Aluminarium told us about. As we made our first drive into the town of Jackson, something pretty amazing happened. 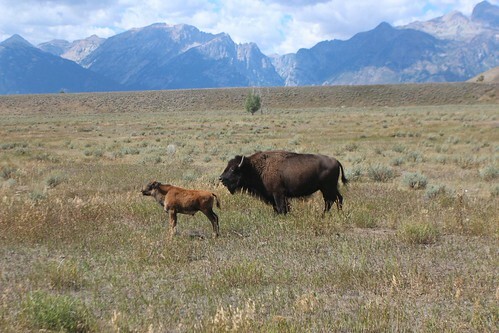 We found ourselves in the middle of a good old fashion bison jam. No, it is not spreadable jelly on sliced bread made of buffalo. 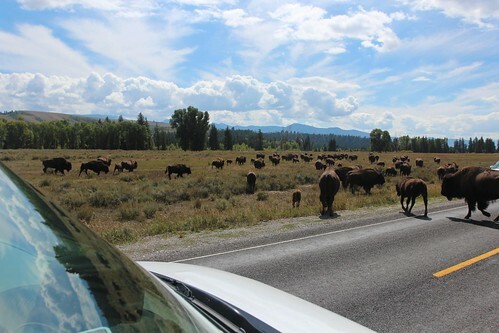 This giant herd of majestic beasts crossed the road just as we were passing by. It was pretty incredible to see this many of them in the wild this close. Nevermind the incredible backdrops we have found ourselves in. 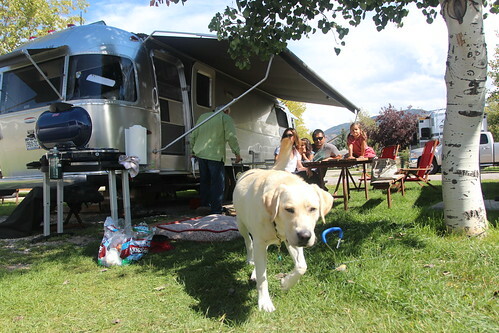 The town of Jackson, Wyoming is just a few miles south of the Grand Tetons. 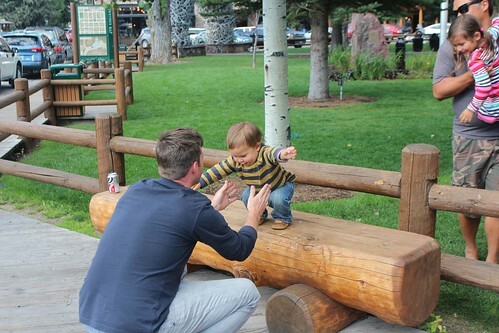 It is a preeminent luxury ski town in the winter but the summers are plenty beautiful in its own right. 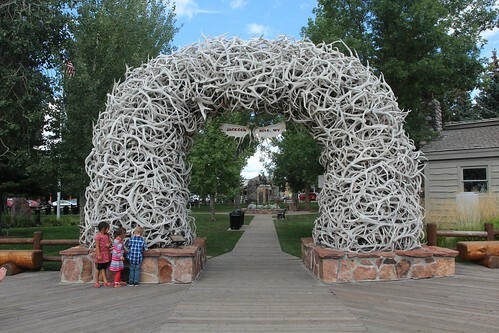 The elk antlers shed in the area each year have been collected and giant arches made of them are an iconic image in the town square. 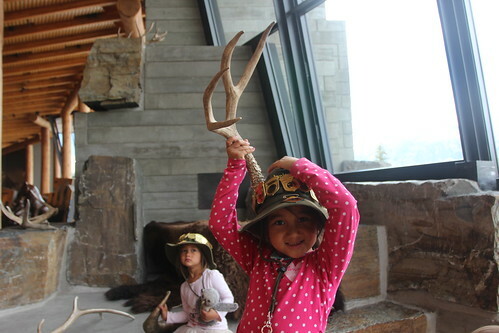 The kids got a little too excited and as Mila was running around the arch, she got a pointy antler to her face. 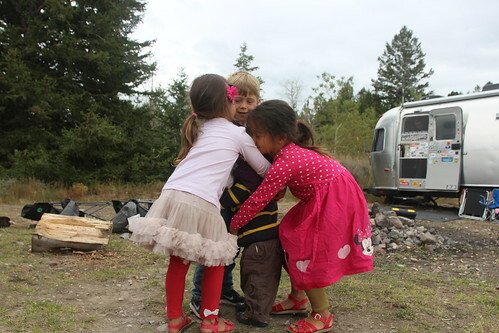 No real damage done but a hug and a kiss makes it all better. Luka and Josh continue to be best buddies even though Josh shaved his beard. We didn’t think Luka would recognize a cleanly shaven Josh but that didn’t matter. He likes dudes. The girls love having Jack around. Especially when they get to go into his ‘Mish’ for some arts and crafts. Our second morning at Gros Ventre Campground would be our last but we did get to meet our facebook friend and fellow Airstreamer, Anna and her husband Paul. They had been in Jackson for awhile and met us at our campground. 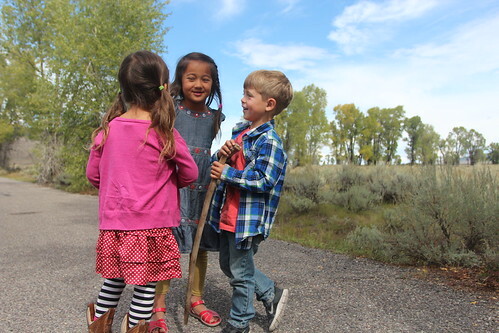 Anna has been coming to Gros Ventre to photograph wildlife and she showed the girls where a mama moose was sleeping with two of her babies. 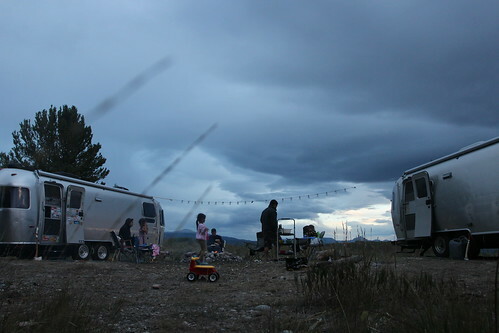 They had been staying at an RV Park in town since the cell reception is spotty at Gros Ventre. This is her little pup Otis. 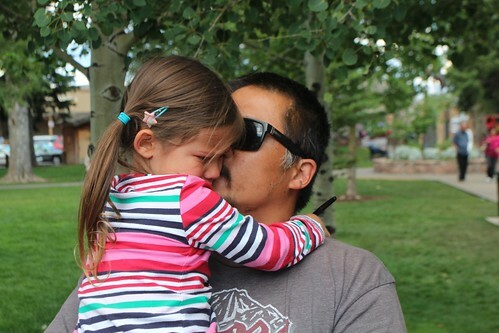 We stopped at the visitor center on our way back to the campground after visiting Anna in town. I found a kindred spirit in this bus driver who has a mutual distain for passenger vehicles that park in RV/Bus specific spaces in National Park parking lots when there are plenty of normal spaces available. 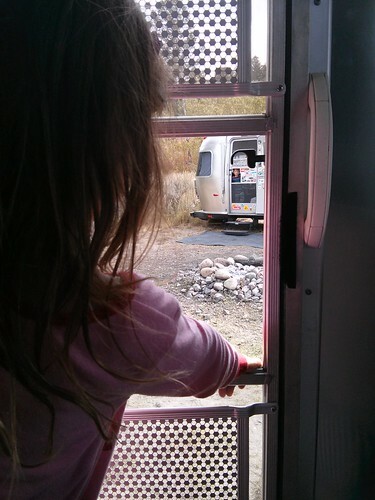 After we left Gros Ventre, we ventured out to find some boondocking sites in the area. We were suppose to meet up with Brian and Leigh of Aluminarium but we got the GPS coordinates mixed up and ended up finding our own spot on top of the forest service road at Shadow Mountain. The road up here was a little rough but it wasn’t very long. The location however was one of the best we have ever stayed at. 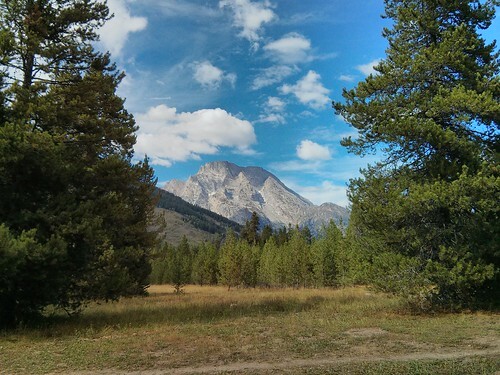 It had great views of the Teton peaks and great cell phone coverage. We could not believe how great the scenery was at Shadow Mountain and decided to stay for a few days. 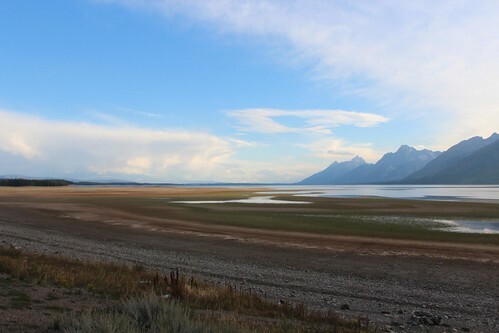 Even though it is right across from the Teton range, it is not part of the National Park Service. It is national forest land which means that we are allowed to disperse camp here for free for up to 14 days. Watching the sun set behind the jagged peaks across the valley was stunning. We will definitely be coming back to this spot. 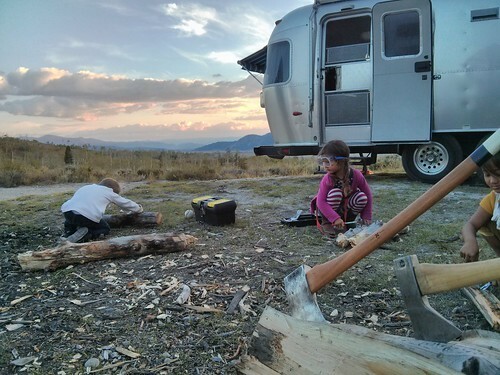 The kids got to help with our daily chores in splitting some firewood using tools from Jack’s toolbox. There are lots to see around here and for the rest of the time we were here, we tried to soak it all up. Just below us in the valley was Mormon Row. This is where the Mormon homesteaders came and lived off of the land back in the late 1800s and early 1900s. 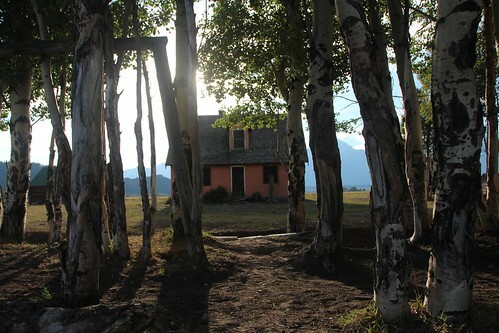 This is one of the buildings on the John Moulton ranch. 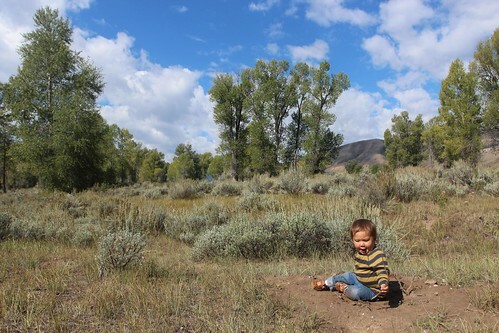 As many as 27 homesteads were established here and Gros Ventre Campground is named after the community that lived here during the era. 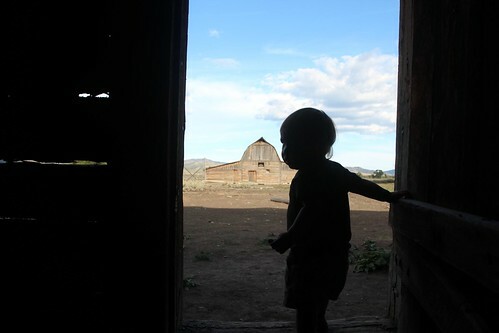 One of the most famous buildings at Mormon Row is an old barn built by Thomas Alma Moulton. According to several internet sources, it is the most photographed barn in America. I figured it couldn’t hurt for me to add another picture to that giant list of photographs. 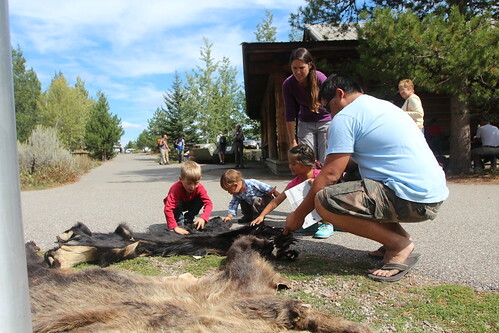 There are so many things to do in Grand Teton National Park, we really needed to pick and choose what we had time for. We can probably spend a whole month here and not feel any need to leave. Of course many of the activities we did involves helping the kids earn their Junior Ranger badges so a ranger-led activity was on the agenda. 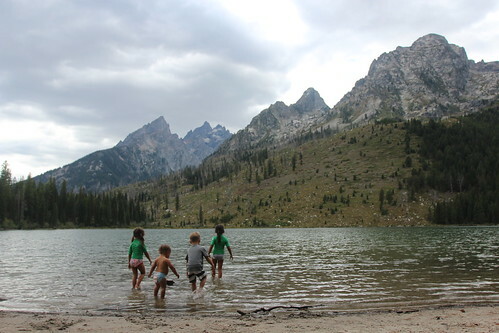 Instead of doing any serious hiking, getting our feet wet in String Lake sounded pretty good. Everywhere you look as you drive around you just can not believe this is where we are calling home for these few days. 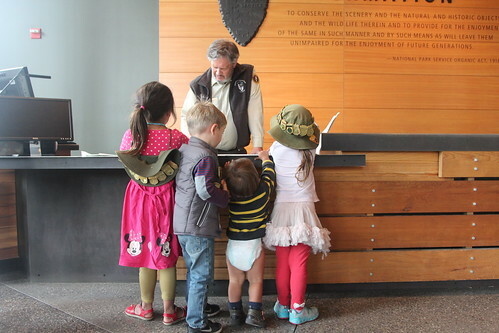 Back at the visitor’s center, the kids finally completed their activities and projects to meet with a ranger to receive their badge. Grand Teton National Park’s Junior Ranger badge is the only one we got that is carved out of wood instead of plastic. We thought that was pretty cool. Our wildlife encounters continued as we spotted a male moose trying to cozy up to a female across the Snake River. This guy wasn’t so lucky. 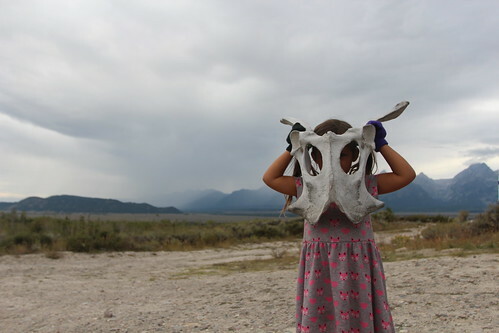 We are not sure what kind of animal this pelvis belongs to but the kids enjoyed shoving their heads in it. 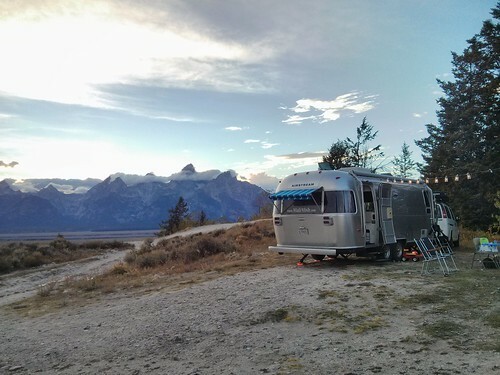 Our temporary homestead in the Tetons. This is just another day and another spectacular sunset. 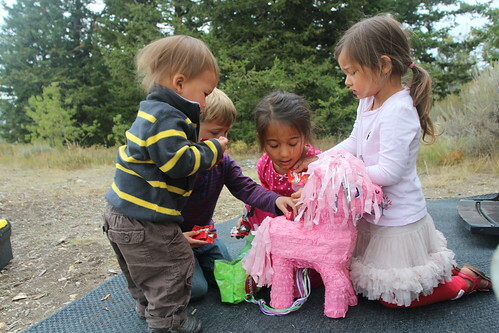 Mila saved her My Little Pony pinata from her birthday in Coeur d’Alene and decided to stuff it full of candy and share with everyone. 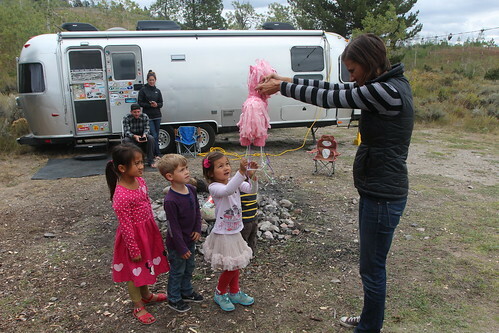 The girls are not really into smashing it to bits with a stick so we just let them pull the strings to release the candy. The strings fit nicely around Luka who did not mind all of the attention he was getting from everyone. After a few days at our site, the kids decided to build their own little fire pit and collected sticks to make their own mini fire. They were really excited for me to light it but shortly after it went up in flames, they all ran away in fear. Such fear does not exist with Josh. Don’t worry, it just looks like he is on fire. This is perfectly safe. Unfortunately, this is where we will part ways with the Works family. They are headed east into the Dakotas while we will continue south into Utah. 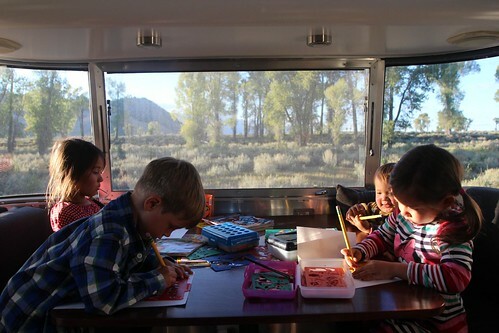 We know it won’t be long before we see them again but it will feel like forever for the girls to not wake up and see Jack through the sliding window of our Airstream door. Until next time, safe travels, Josh, Jessa and Jack. 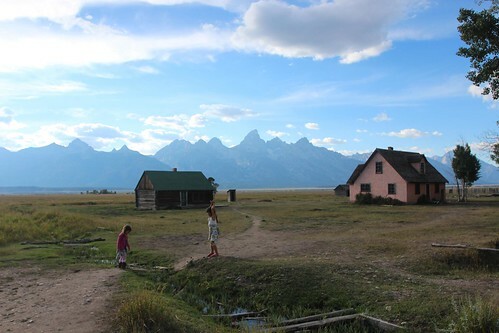 7 Responses to Days 41- 45: Grand Tetons National Park, Wyoming. Dan, I love this post! Your photography is stunning and your stories inspiring! Looking forward to meeting up with you all at another stellar location one day soon. Safe travels my friend!! Looks like you guys are having tons of fun together! 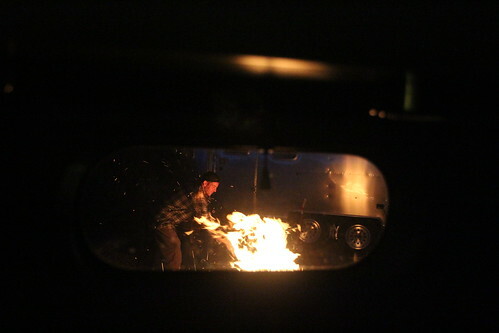 I hope Josh made it out of the fire without any burns! That laughed pretty hard at your “this is totally safe” comment! 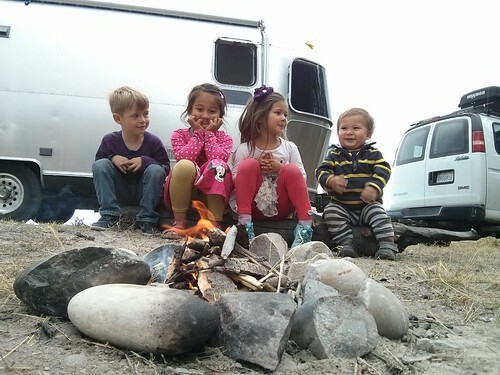 I’m glad you guys ended up finding a good boondocking spot – I felt so bad when those texts started coming in! Hi Lisa! That is so cool! 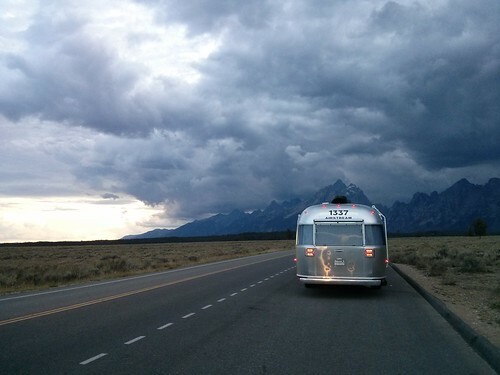 We would love to spend a couple of years traveling through Europe in an Airstream. I have looked at photos of the 685 as inspiration for bunk beds I might want to build into ours. So far, we have not committed to the job. I think we will have to soon! 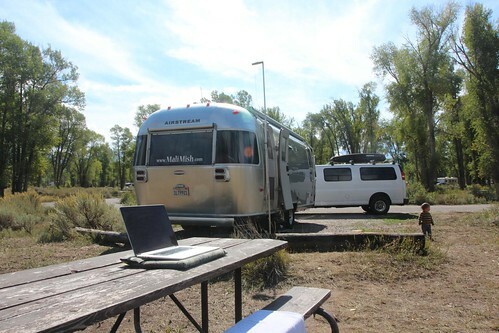 Once we figure out how to get an airstream and work from there, we will come over! 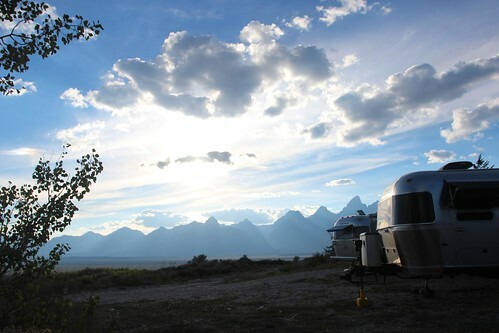 Your stay in the Tetons looks amazing. 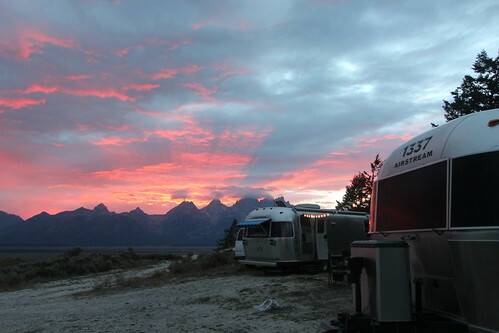 Our family is heading there this June and looking for some great boondocking spots to stay at. 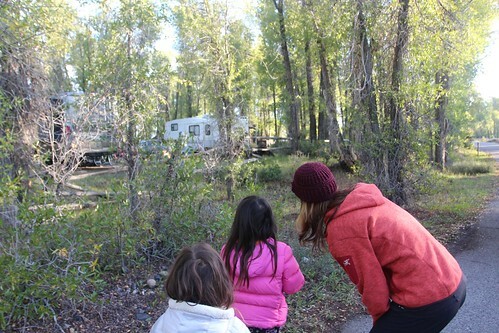 (We’re going to have our fill of intimacy with neighbors during our few days at Fishing Bridge Campground.) Would you mind sharing information on the location of where you guys stayed in the National Forest? Hi Jami, We stayed at a spot in the Shadow Mountains. You have to drive up a relatively steep hill on a dirt road so depending on how big your camper is it might be a tight fit. Check out campendium.com. I believe the site we stayed at is on there. Our friends Brian and Leigh from aluminarium.com runs the site and were also in the area with us during this visit.